Create your unique Surf Maroc Holiday by adding special items to your stay. Yoga goes perfectly hand in hand with surfing, and it’s an important part of the Surf Maroc ethos. We take it seriously, and operate one of the best yoga retreat centres in Morocco that caters for all abilities. Our in-house yoga teachers offer inspiring, uplifting and fun yoga classes by expertly blending Power Yoga, creative Vinyasa Flow, Hatha, Restorative and Yin Yoga. By selecting unlimited yoga you will have access to all of our yoga classes that take place in our new Amouage shala. Every class is specifically themed so you can choose the classes which best suit you. 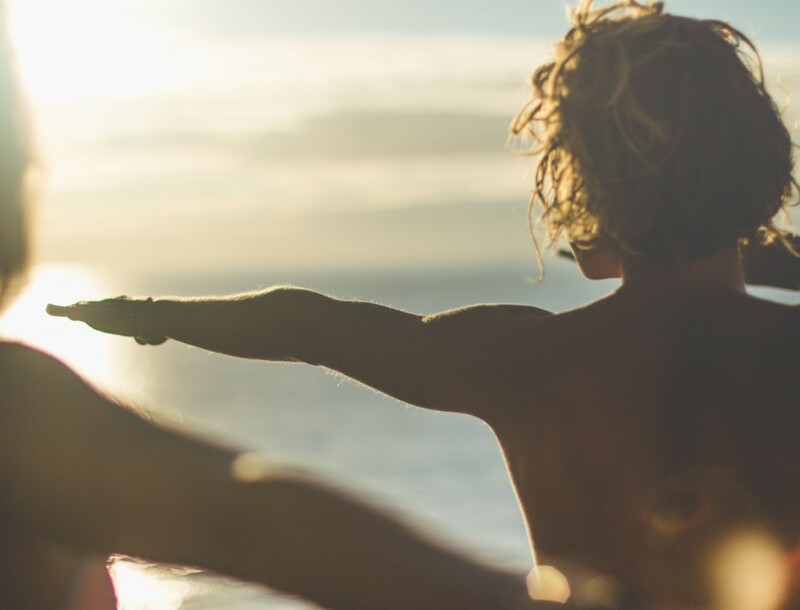 Treat yourself to a one-on-one yoga session with one of our qualified Surf Maroc yoga teachers. 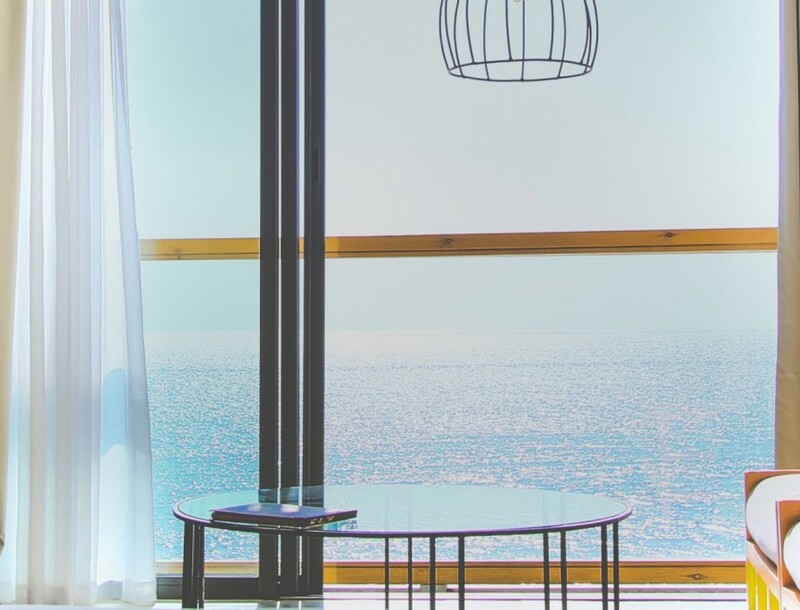 Have an hour in our new, oceanview Amouage shala and have a professional eye focus on you and your practice. In this personalised session, the yoga teacher will guide you with tips, adjustments and postures to allow you to move forward in your yoga journey and achieve your personal aims. After your session, you will leave the shala feeling refreshed, positive and motivated – a perfect addition to your holiday. Surf Maroc loves surfing, and Morocco is the perfect place for all surfers to get out on the waves. This one-hour private taster session is the perfect opportunity for you to give it a go! 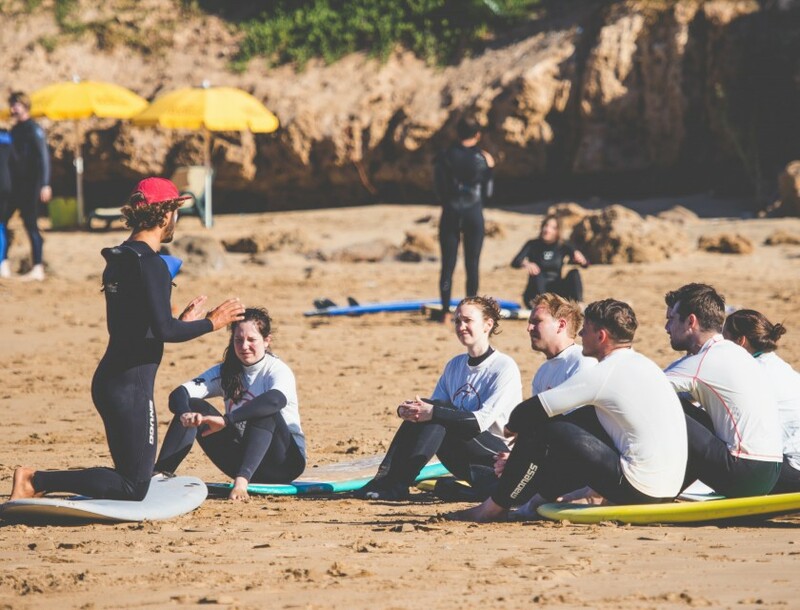 One of our qualified surf instructors will take you to one of our local beginner surf spots, and give you a full one hour lesson to how to get started surfing. Learn the basics and experience the thrill of surfing the Moroccan waves! At Surf Maroc, we believe in providing our guests with high-quality equipment to surfing equipment. The Surf Maroc hire centre stocks Torq, SurfTech, NSP and Fahd hand shapes we have a huge selection of boards to suit all levels and tastes. Single fins, twin fins, thrusters, quads, shortboards, funboards, eggs, fishes, longboards. It’s a perfect opportunity to experience and try out a new shape or use the identical board you have at home without the hassle and burden of transporting it. Click here to see our full selection of boards. We also provide high-quality 3/4 Ripcurl wetsuits in a variety of sizes to suit every body! 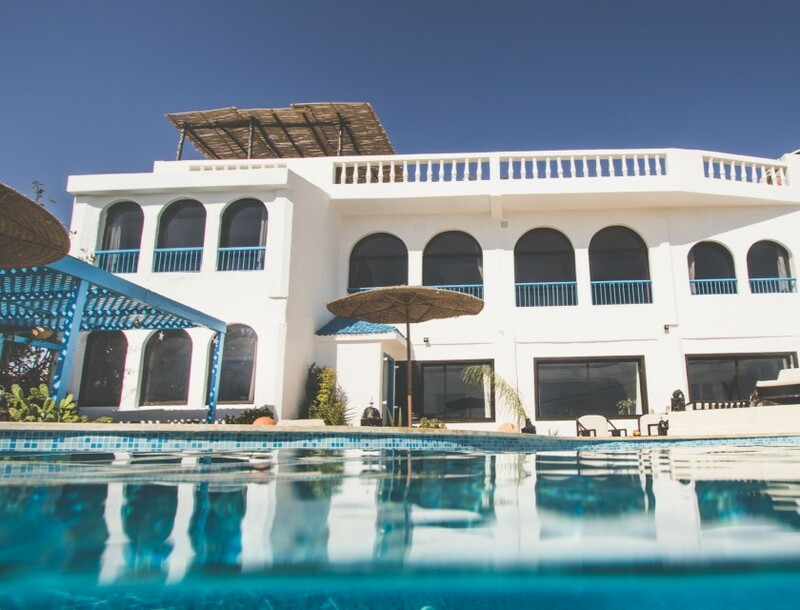 We invite everyone with every budget to experience a Surf Maroc holiday with maximum comfort. We price our rooms per person in each room to be sharing a twin or double bed, so solo travellers are able to share with a new friend. However, by opting for a Private Room Reservation as a solo traveller, you have the whole room to yourself with a private double bed. Discover the perfect way to relax and refresh the body while experiencing a true Moroccan cleansing ritual. 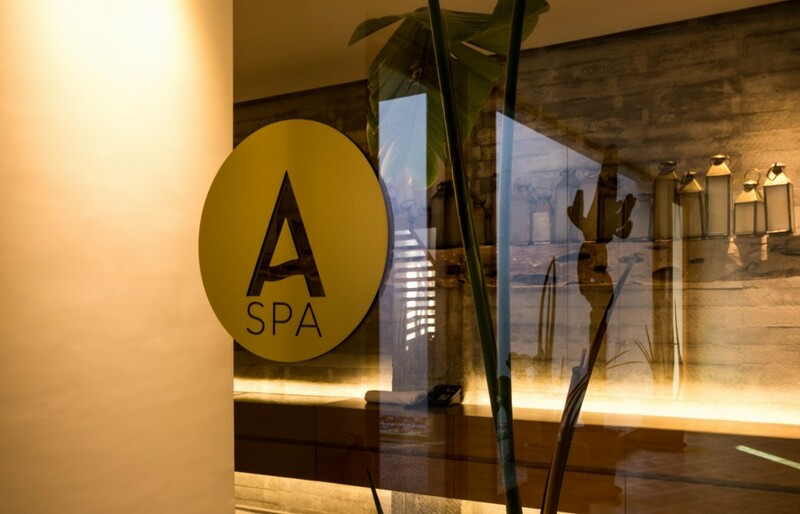 Our A Spa at our Amouage hotel traditional Moroccan Hammam indulges you in a half hour steam and full body scrub using only the best quality and locally sourced spa products. This is the perfect package for those travelling with surfers, but not are not surfing themselves. 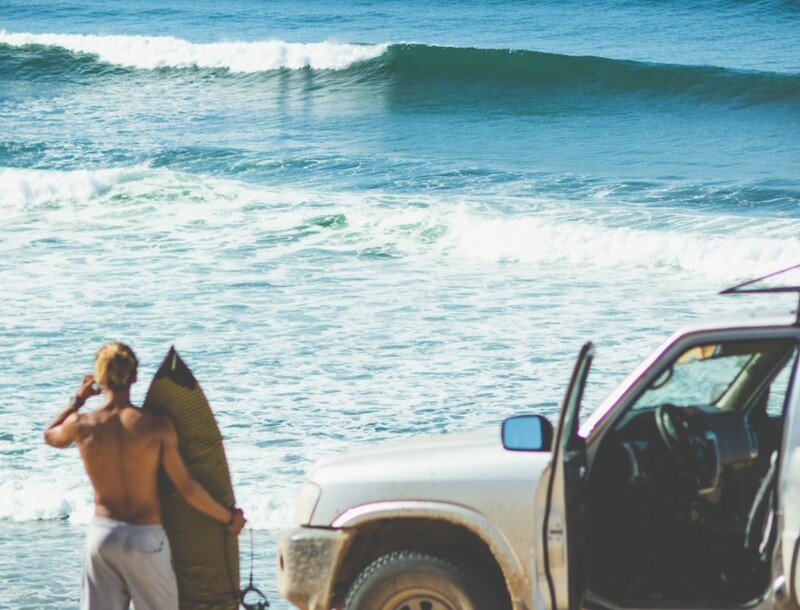 Still experience a Surf Maroc holiday with all your essentials covered (airport transfers and meals). 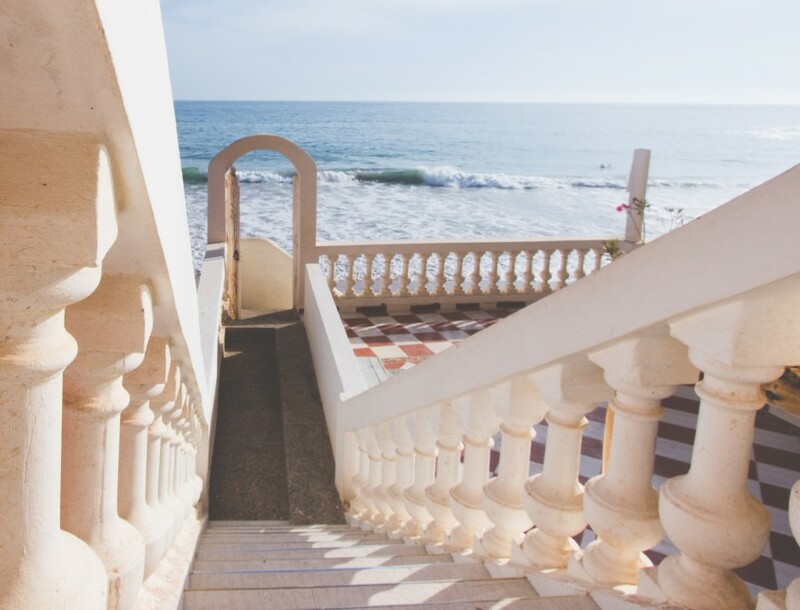 We welcome you to stay at one of our stunning oceanfront locations and enjoy the relaxed, homey and stress-free Surf Maroc lifestyle. With all the holiday essentials of meals and transfers included, escape to the sunshine and enjoy not having to worry about a thing. And if you get tired of relaxing by the pool or sunbathing on the beach, we have a menu of extra activities to inspire you. From unlimited yoga classes and taster surf sessions to spa treatments, you can build your perfect trip. It’s all the Surf Maroc fun without the surf! For those not seeking a retreat, get immersed in both yoga and surfing with our regular Yoga Surf Retreat special offer package (limited availability). 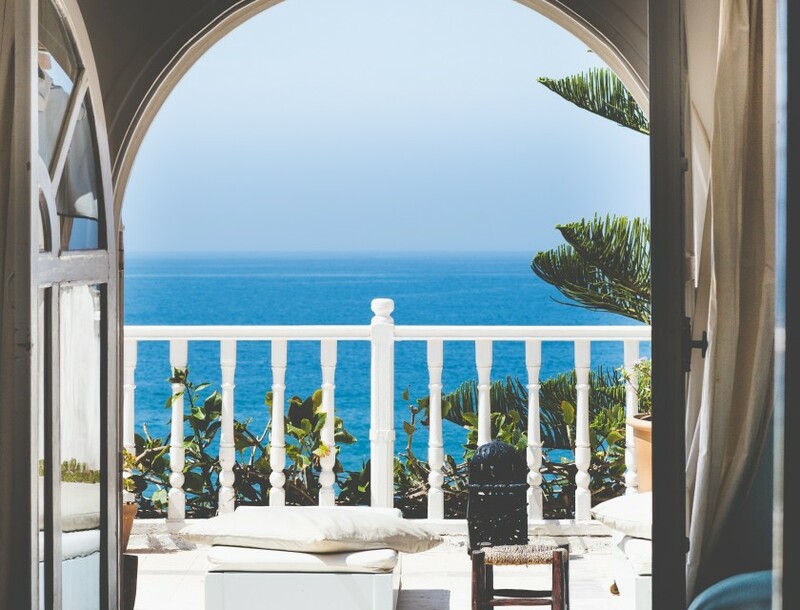 Stay in our boutique Amouage hotel or oceanside beach chic Taghazout Villa, and enjoy your holiday with our amazing guests for a sociable yet rejuvenating break. Experience amazing yoga in our oceanview Amouage shala and surf sessions at the best surf spots in Morocco. Plus enjoy the Yoga Surf Immersion privileges of exclusive yoga sessions and private group coaching for the ultimate Surf Maroc experience.